Cacoo is a user friendly online drawing tool that allows you to create a variety of diagrams such as site maps, wire frames, UML and network charts. Multiple users can edit the same diagram in a simultaneous collaboration. 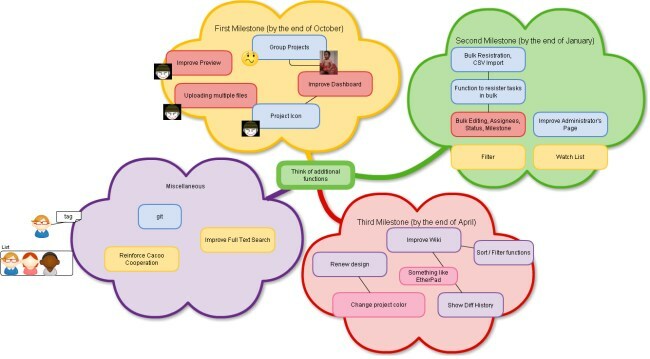 Diagrams created with Cacoo can be pasted into Web applications such as wikis and blogs and the pasted graphic is automatically updated if changed at Cacoo. I could not see how to generate the code to embed, and if anyone can tell me in a comment here, please do.